Stacy Adams shoes allow you to flex your fashion style in a way that other brand dress shoes don't. Their attention to detail and smooth classy styles are great for men who know what style is all about. 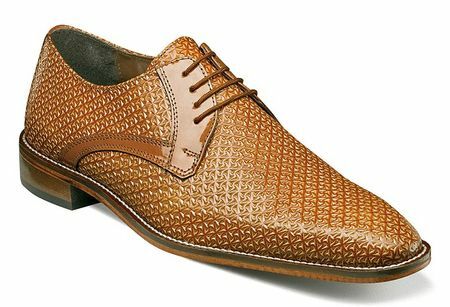 These tan color Stacy Adams shoes feature an Italian style look made of tan leather with a fancy texture that you need to see in the picture in a lace up look with leather sole just the Stacy Adams intends.